The CCS is a diverse community comprising scholars from Yale and beyond. While the Center is based in New Haven, we are privileged to include students and distinguished faculty from the United Kingdom, Germany, Sweden, Israel, Turkey, China, Hong Kong, Australia, Argentina, Canada and the United States among our members. Intellectually, the CCS incorporates many researchers working in the field of cultural sociology proper, as well as anthropology, communications, comparative literature, geography, history, law, management, performance studies, and political science. The CCS welcomes Post-Doctoral Fellows and Visiting Fellows each year on a limited basis. We are not able to offer funding for these positions and applicants must apply to and be approved by various offices at Yale. Interested parties should first send a CV, research plan and writing samples in English to cultural dot sociology at yale dot edu for consideration. 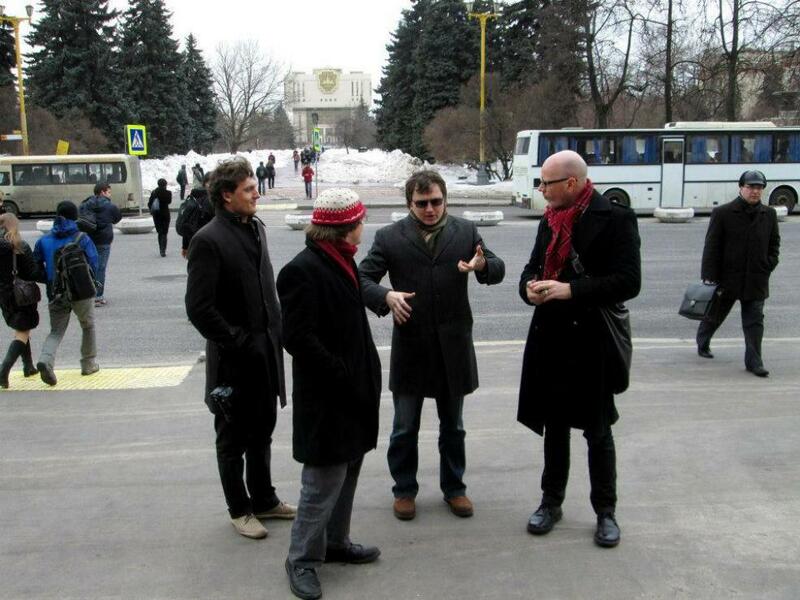 CCS Faculty Fellows Dmitry Kurakin, Ian Woodward, Dominik Bartmanski and Werner Binder collaborating in Moscow, Russia.